New Delhi:(Page3 News Network)-India and Israel diplomatic relations were established in 1992. To mark the occasion of 20 years of diplomatic relations, India Post has issued a set of two stamps (Joint Issue-each stamp of Rs. 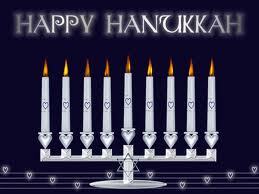 5 denomination)depicting the festival of lights, Deepavali & Hanukkah, on 5th November, 2012. Hanukkah, is a Jewish holiday commemorating the rededication of the Holy Temple in Jerusalem at the time of the Maccabeen Revolt of the 2nd century BC. Hanukkah is observed for eight night and days, starting on the 25th day of Kislev according to the Hebrew calendar by lighting candles in windows or doorways on each of the eight nights of Hanukkah. The candles are lit in a unique candelabrum, the nine-branched Menorah or Hanukkah. Like the ‘diyas’ of Deepavali, the Hanukkah candles symbolize the triumph of good over evil and the victory of justice over injustice. The design of the Deepavali Stamps features a row of lit ‘diyas’ whereas a menorah is featured on the Hanukkah Stamp which is inspired by the wooden menorah used by the Jewish community in Mumbai. The stamps are valid for postal use till the stocks last. India Post Commemorates National and International events by releasing Commemorative and Special Postage Stamps.